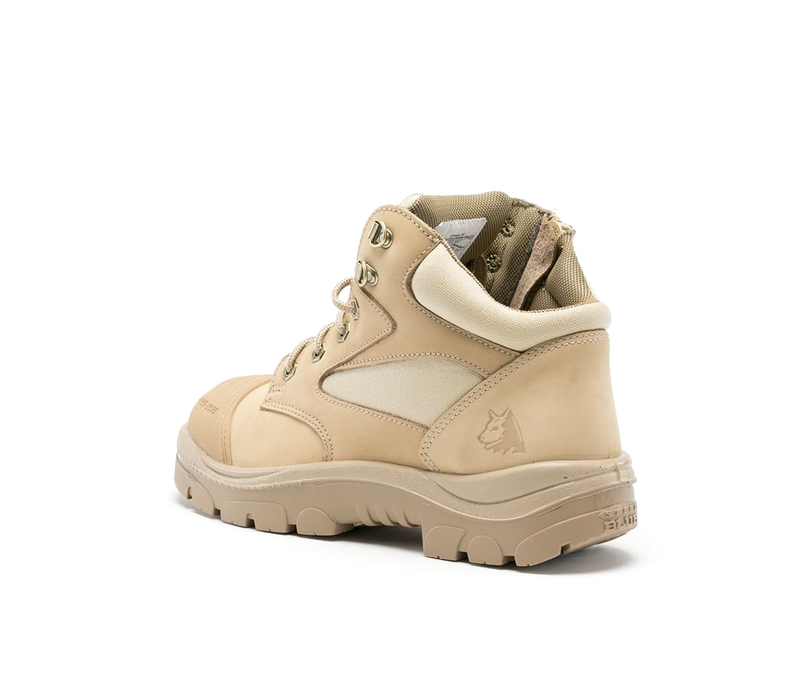 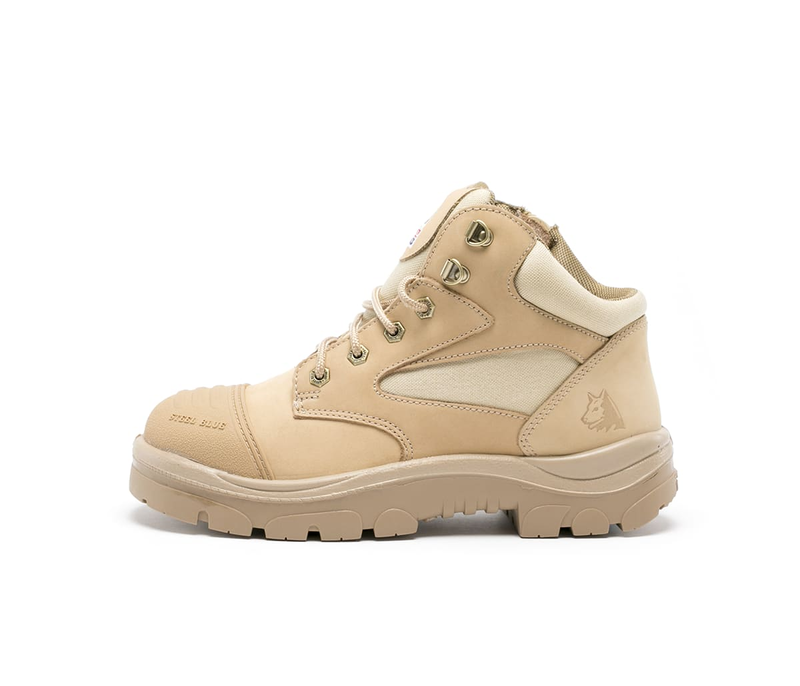 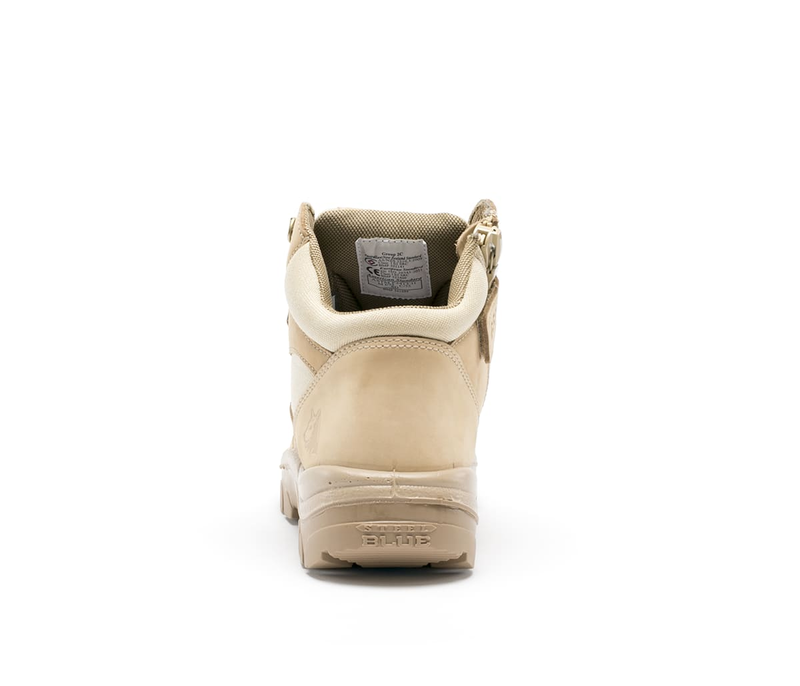 Now available in Sand coloured Nubuck Leather. 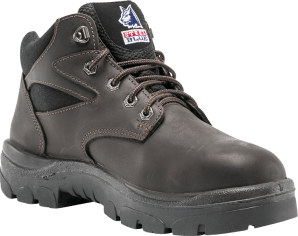 The Parkes Zip is a Men’s 95mm hiker style Lace Up safety boot with an industrial grade zipper so you don’t have to worry about tying up laces every day. 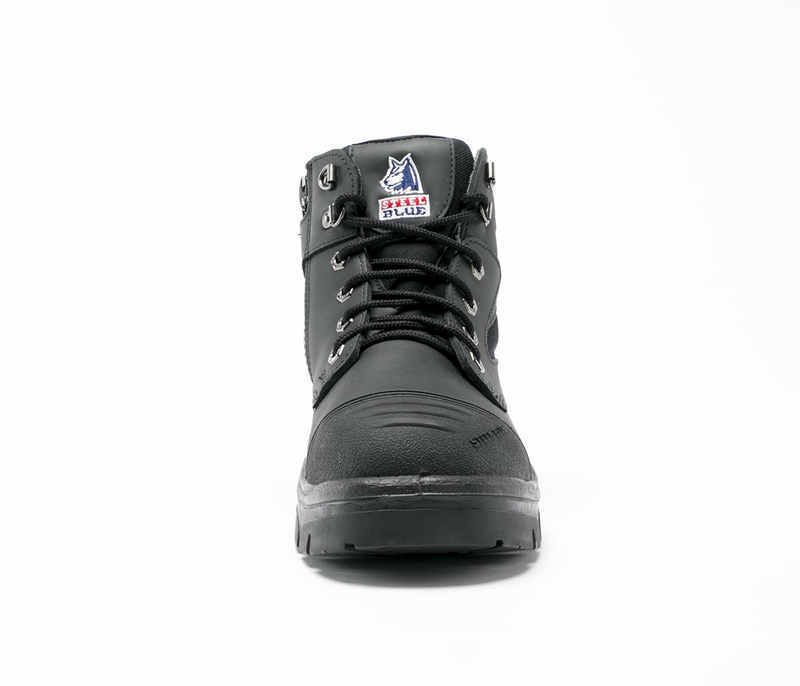 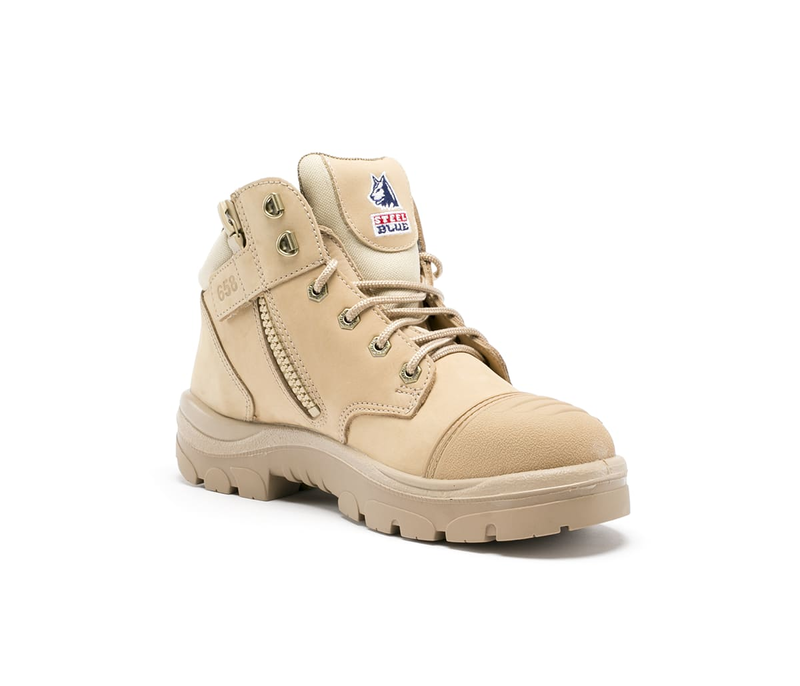 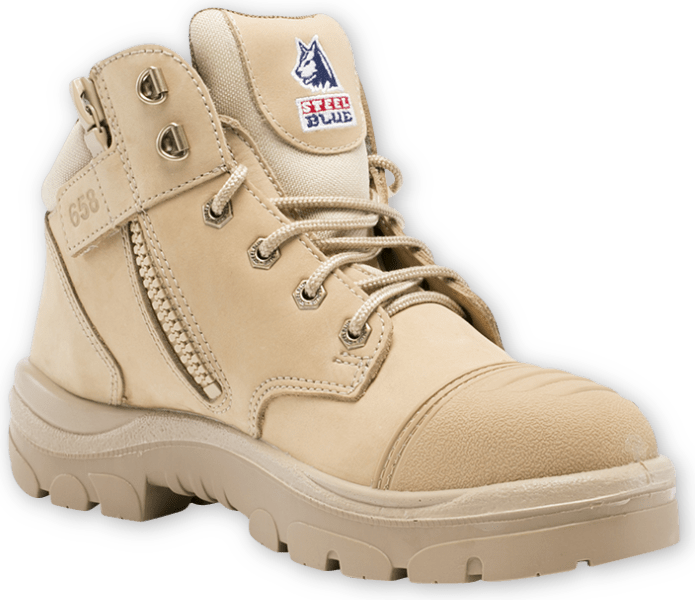 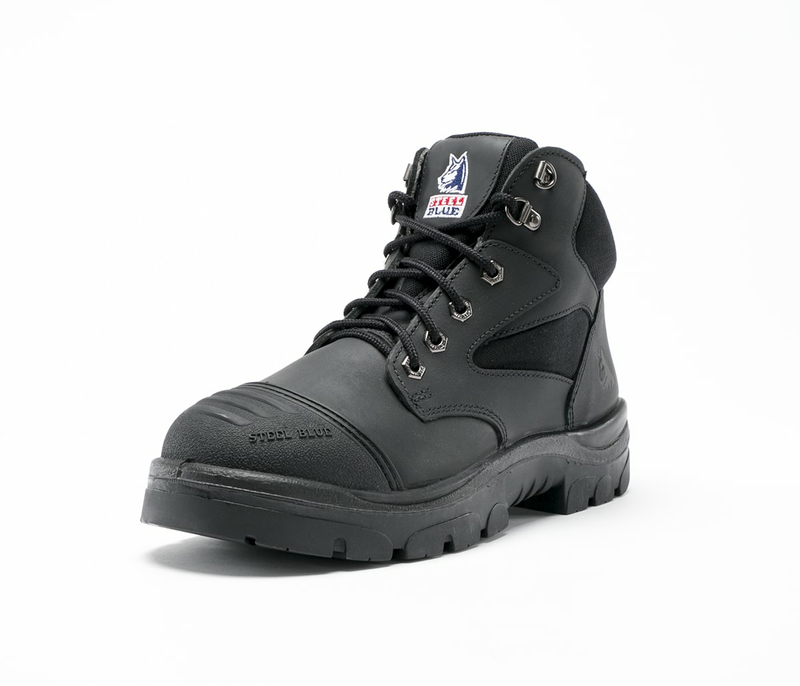 With a new-look Scuff Cap to increase the longevity of your boots, the Parkes Zip is a popular choice for Warehouse Staff, Construction and Courier Drivers. 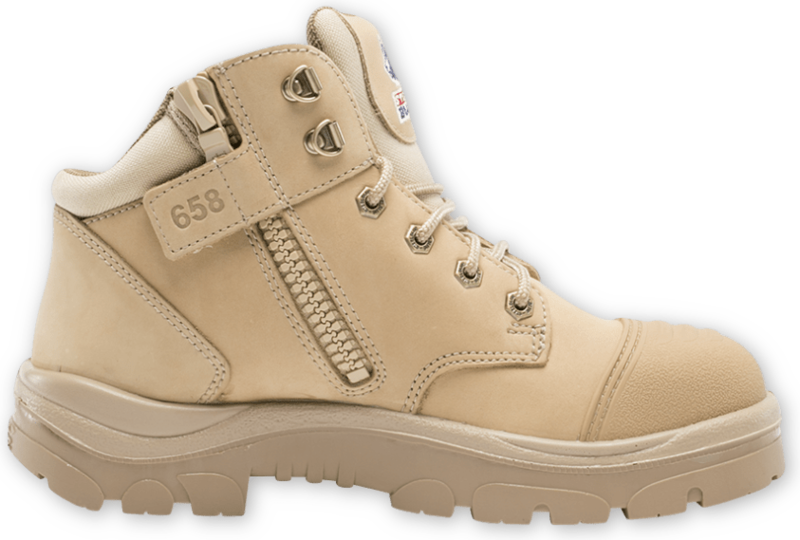 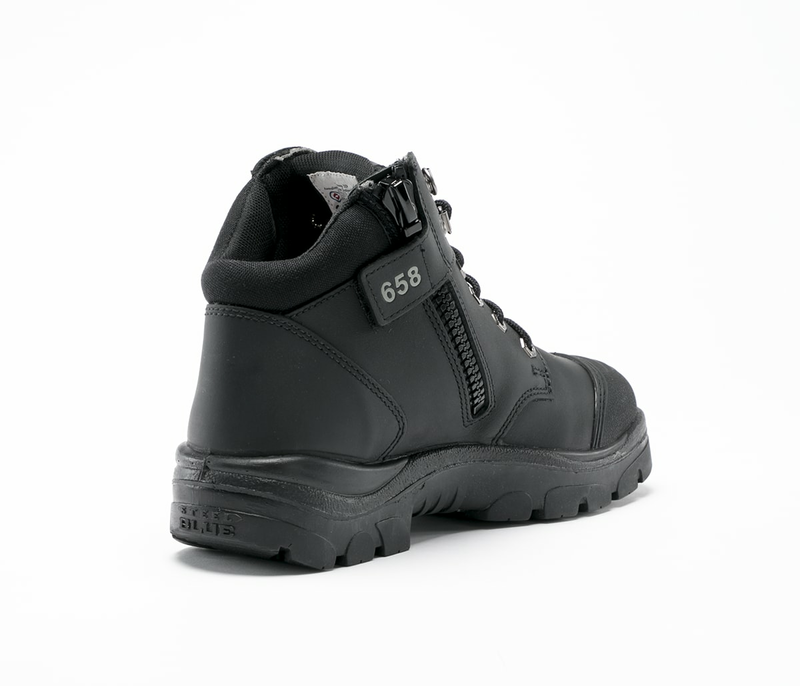 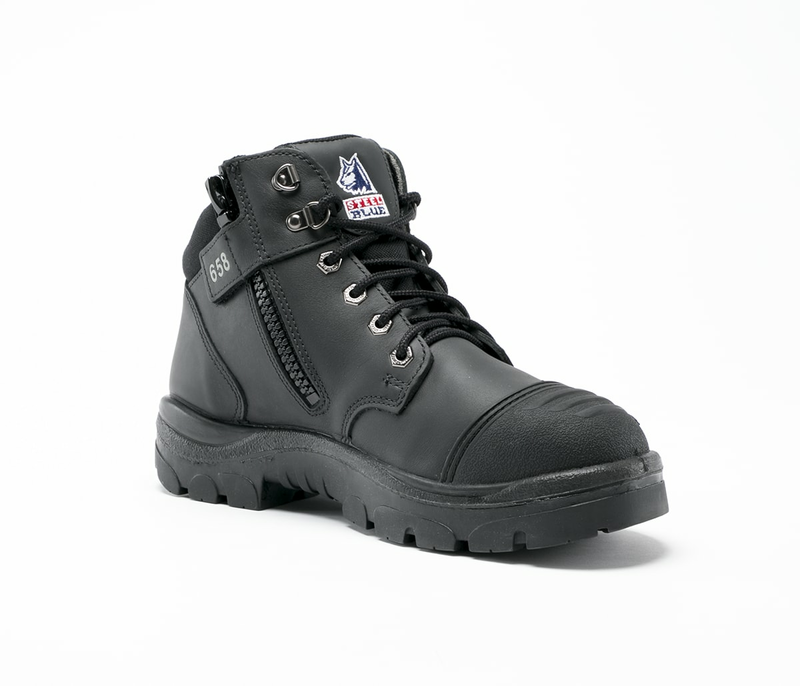 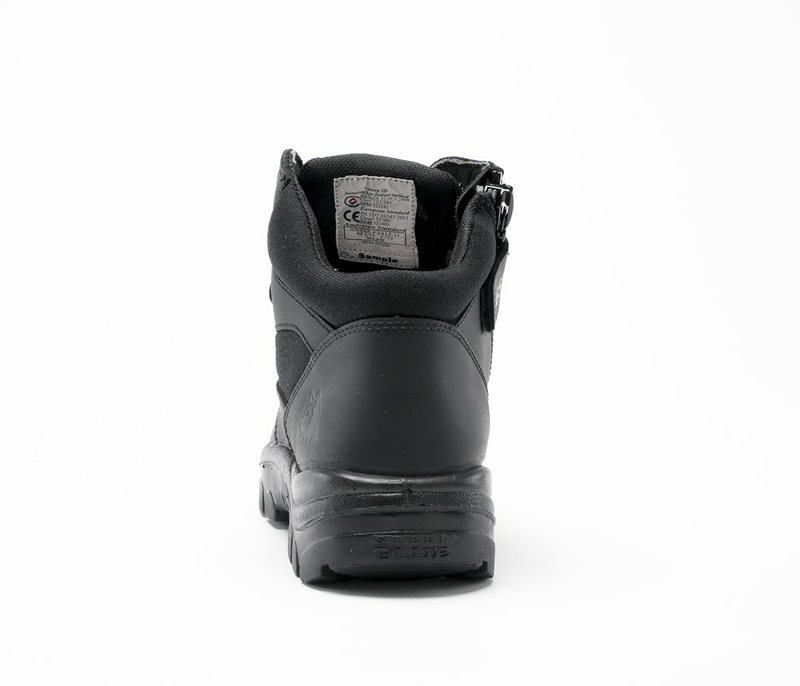 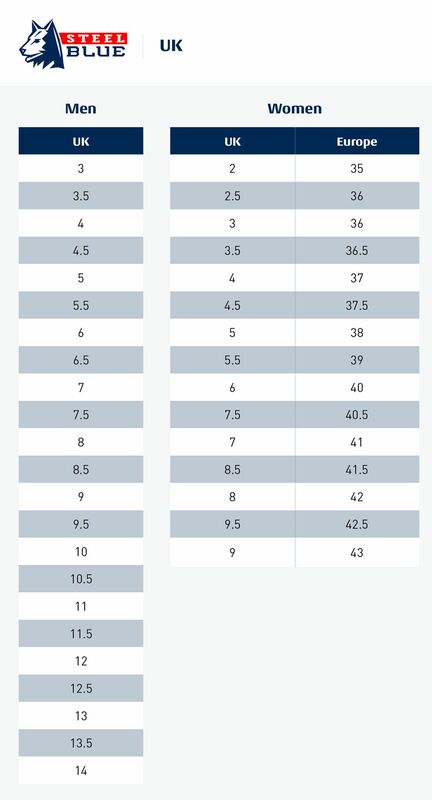 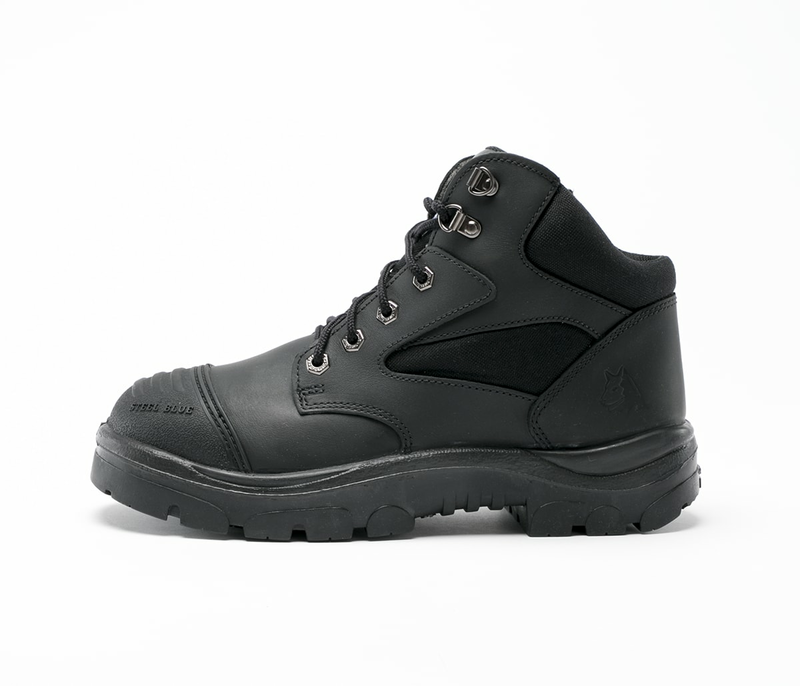 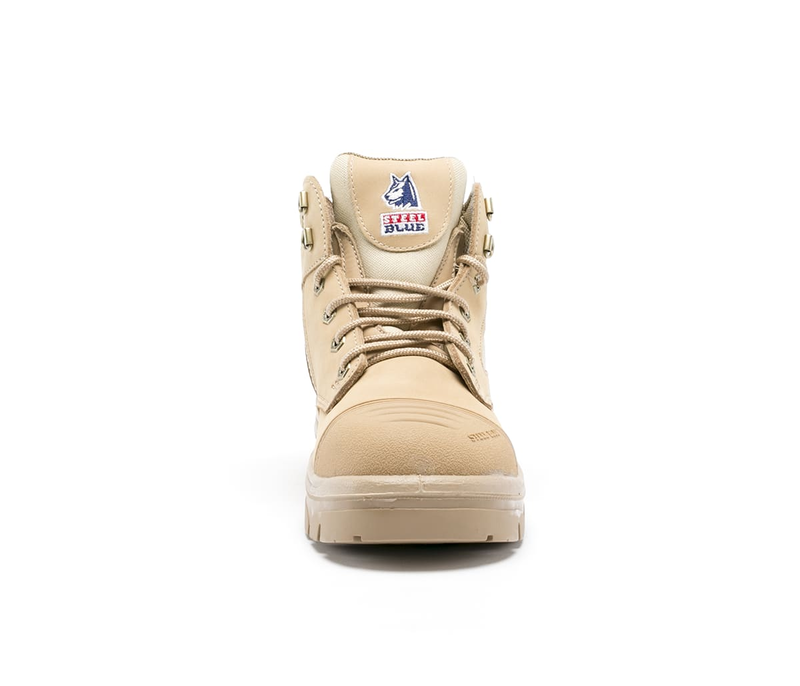 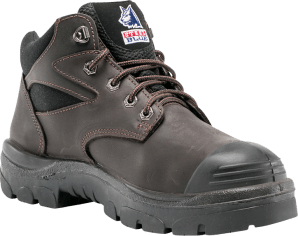 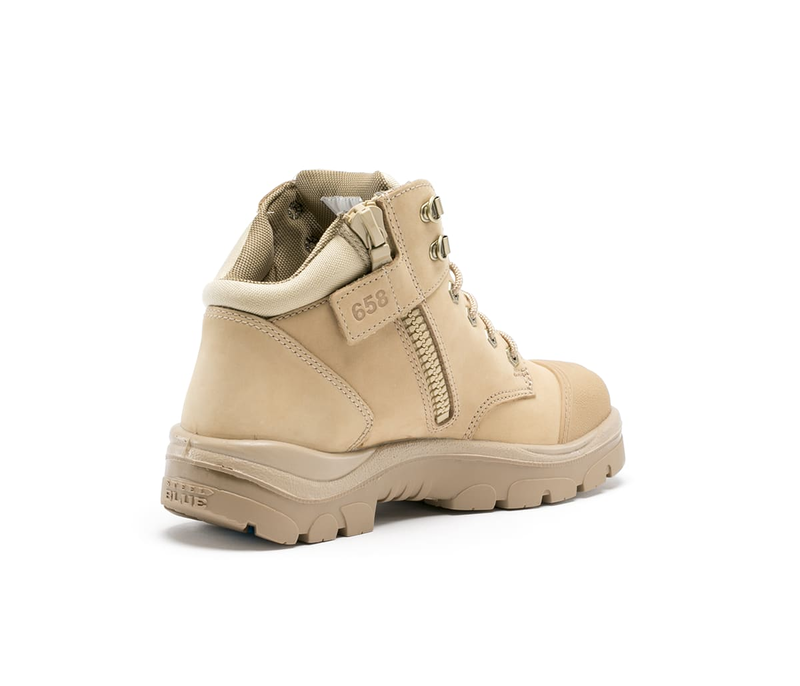 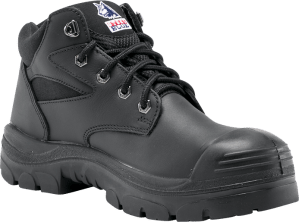 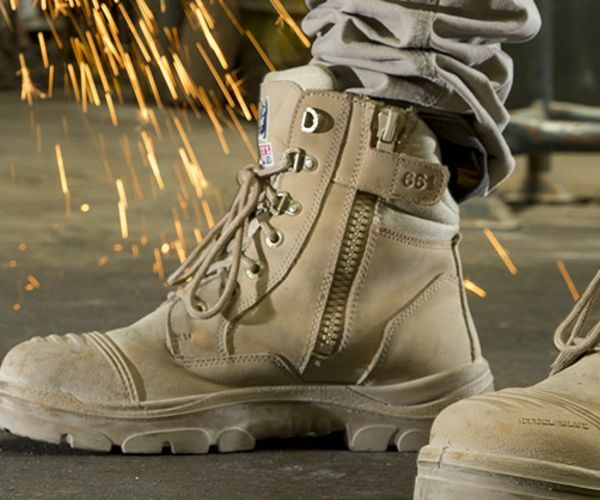 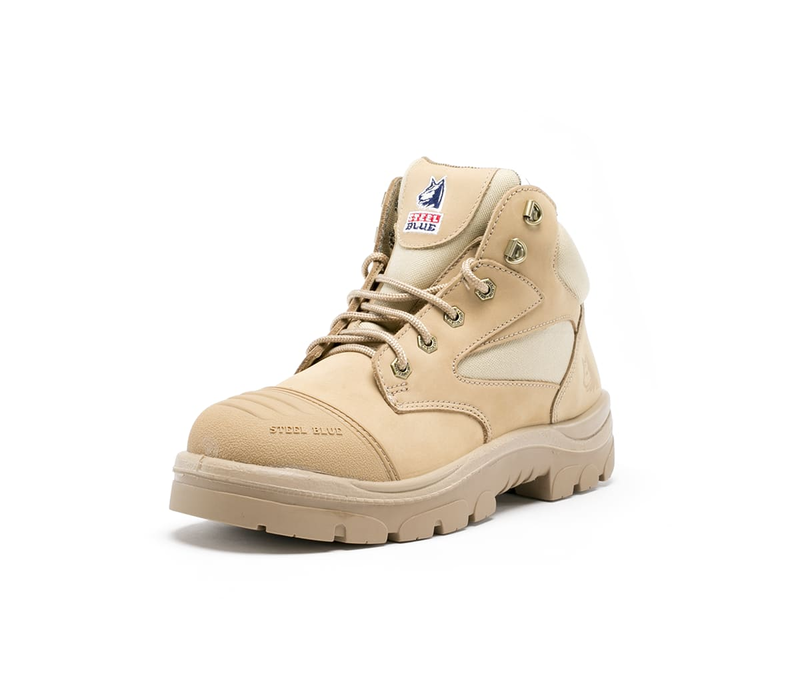 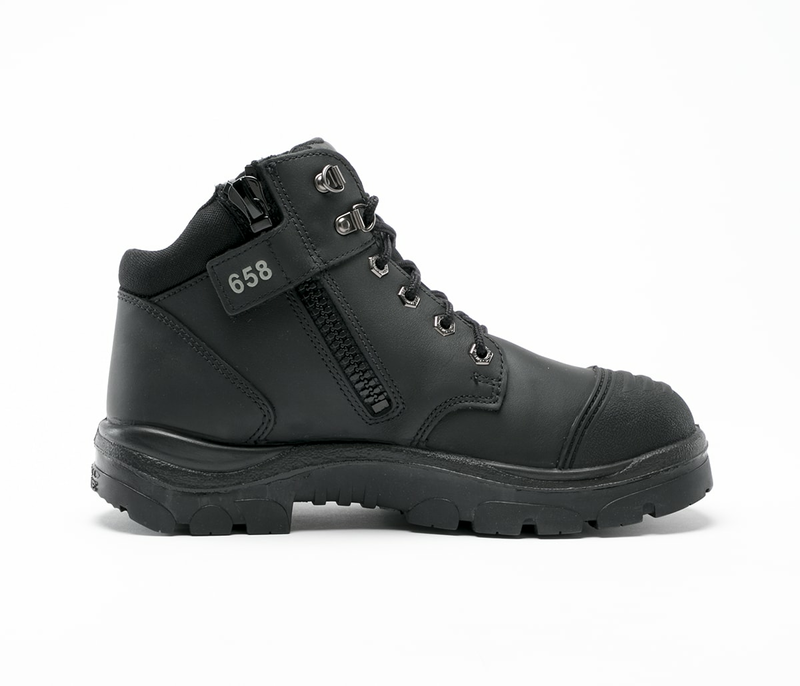 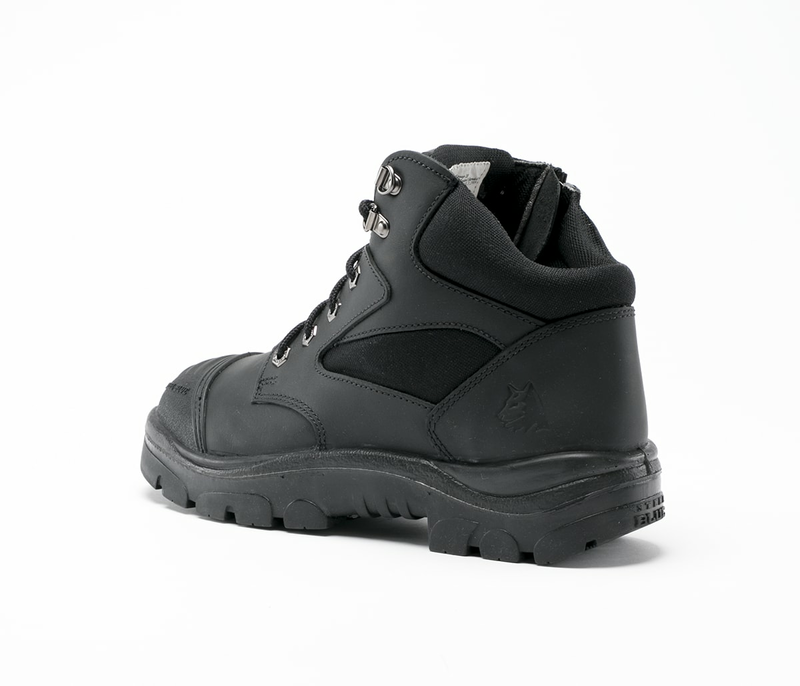 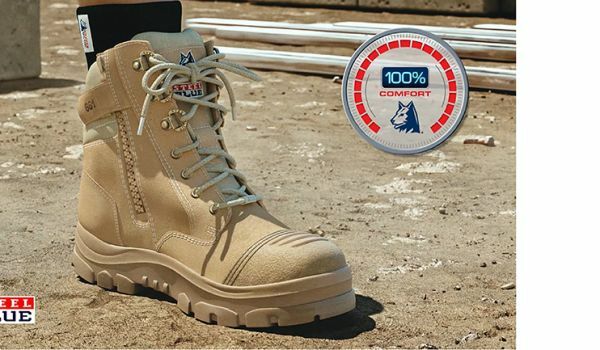 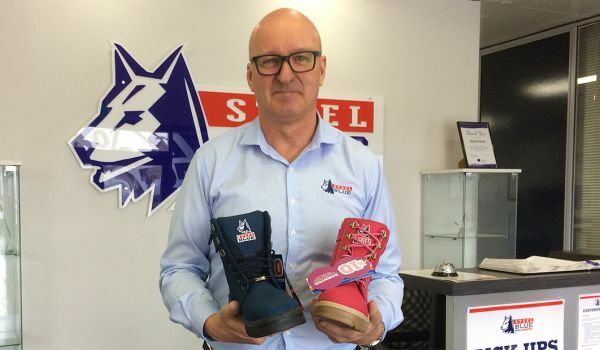 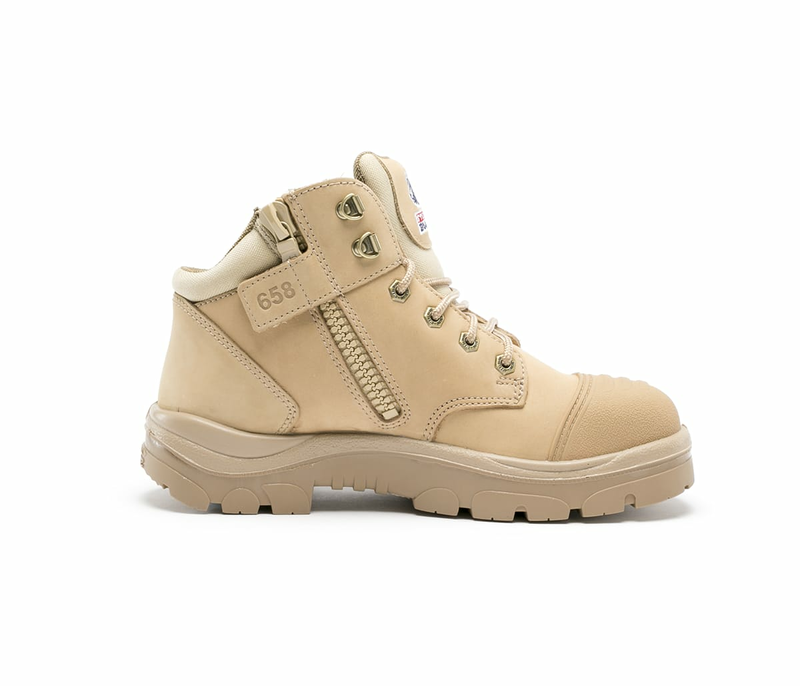 This boot also features a TPU Outsole that is heat resistant to 130ºC, a 200J safety Steel Toe Cap and Penetration Resistant component.